Lisa Marie Presley. What an interesting case study in sociology she is. As the daughter of the legendary King of Rock, Elvis Presley, the ex-wife of the King of Pop, Michael Jackson, Lisa Marie is a queen twice over. But all her marriages and failed relationships are not the part of her life that I want to focus on here. What I want to talk about is her inheritance. It is quite a story . . . have you heard it? 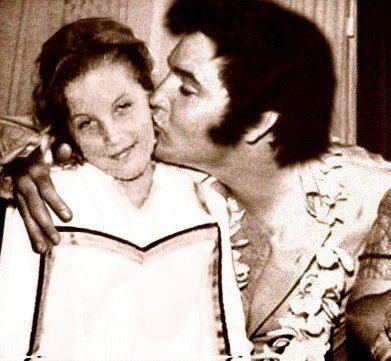 Lisa Marie Presley was the daughter of Elvis, and when Elvis died, he made Lisa Marie the sole heir of his estate. At the time, the estate was worth only $5 million, but over the past forty years since Elvis’s death, the estate has grown to a value of over $300 million with the sale of greatest hits albums and tours of Graceland (Elvis’s home in Memphis). That is some serious change! But there is something even more interesting to me about Lisa Marie’s inheritance than its large value . . . it was the way in which the inheritance was given. Lisa Marie was only nine years old when Elvis died, and though the estate was promised to her, she would not take ownership of it until after her 25th birthday. Think of that. . . she had to wait 16 years to become the owner of the estate. She was always the heir, but she did not receive the riches until she turned 25. Until that time, the estate would be under managers who would take care of things until her time came. Can you imagine what that would be like? Well, the way many of us think about the Christian life, we certainly can imagine this scenario . . . in fact, we think we live it everyday. Many people believe that as Christians we are heirs to a great inheritance that we cannot yet partake of. It is being “held” for us until either Christ returns or we die and go to be with Him. Until that time, many feel that they are simply an heir awaiting a promise. Now, when it comes to our ultimate glorification, the ridding of our flesh and the taking on of a new Body in the presence of God, this would be a correct statement. Those things will not be realized until the end . . . but that is not the sum total of the inheritance and blessing that God has given us. God has blessed us not just with a promise for the future, but also with a provision for today! As believers in Jesus Christ, we do not have a time delay on the fortune that has been granted to us. In that passage, Paul tells the Galatians that there once was a time before the birth of Jesus Christ, when God’s people were like Lisa Marie . . . heirs who had received a promise, but it was a promise with a time contingency on it. When the appropriate time came, the promise would be fulfilled and all their hopes would be realized. The amazing thing that Paul tells them is this: That waiting period is over! It is now time to experience the joy and blessing of all that God has for you. This “fullness of time” that Paul refers to is the coming of Christ, His death on the cross, and resurrection from the dead. Because of those things, the time has now come for the people of God to be released from the deadness of the Law and set loose to the freedom that is found through a living relationship with the risen Christ. Indeed if you have placed your faith in Christ’s death on the cross for the forgiveness of your sins, you have suddenly been named a “son or daughter” of Almighty God! So what is this great blessing that we do not have to wait for . . . what is it that we get to inherit now without a further waiting period. These verses tell us: We get to experience now the incredible blessing of the coming of God’s Holy Spirit into our hearts. This is something we get to experience right now if we have trusted in Christ. The Spirit marks us as God’s children, is given as a deposit for future redemption of our bodies, intercedes for us before God our deepest needs and desires as we pray, and gives us the power and provision to live the life that God has called us to. I don’t know about you, but I would rather have that forevermore than the rights to “Love Me Tender” any day. So be encouraged, the blessing begins now! Because you are a child of the King of Kings, we get to partake of His Grace in this Land. Not sometime in the future, but right now through the blessing of the giving of His Spirit. This Sunday at Wildwood we will unpack more of what it means to be adopted as a child of the King as a part of our “Adoption Sunday.” We will look at adoption from two angles: Our adoption as children of God (this will be the context of the sermon from Galatians 4), AND we will hear testimonies from several Wildwood families who have adopted (or are adopting) children into their homes. It will be a great Sunday! Make plans to join us in either our 9:30 or 10:50 service.